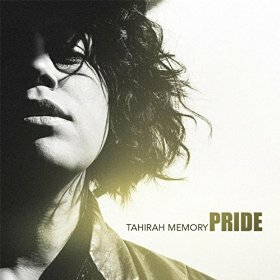 Tahirah Memory’s debut album Pride reveals the Portland native as an artist firmly and unapologetically rooted in the intersection between the church and jazz-infused R&B. Her instrumental arrangements are deeply soulful with frequent and unabashed nods to '70s era vinyl soul and acoustic jazz - both genres that the singer/songwriter likely heard while growing up in the house with her mother and father, jazz trumpeter, educator and Grammy-winning arranger Thara Memory. Memory’s phrasing certainly displays a comfort with jazz singing, but she also infuses her vocals with the emotion and honesty that artists rooted in the African-American church and blues-based music often gain organically. That personal history drew Memory into the classic soul lane. Still, there is much that pressures an artist such as Memory to turn away rather than embrace her training and musical legacy. Quite simply, evidence abounds that Memory and her brand of R&B aren’t marketable in today’s youth-focused market. Fortunately for us, Memory excised those doubts by taking full control of her career from a business and artistic standpoint, making Pride the type of record that she wanted to make. On Pride, Memory displays the confidence of a singer who bet on herself because she knows that music will always find an audience – particularly if there is somebody fully committed to locating that market. Memory selected herself for that job by acting as her own manager. Content wise, Tahirah Memory the artist gave Tahirah Memory the manager a lot to work with. “Again” establishes a laid back, mid-tempo funk groove that finds her explaining why she is unwilling to go to the relationship well one more time with her indecisive and dysfunctional ex. The neo-soul infused “Time” is a track with a narrative of a woman impatiently watching the clock and biding time until her lover returns. The song is propelled by a deep funk bass and an organ before ending with drum solo, while Memory’s voice melds nicely with that of fellow Portlander Jarrod Lawson on the lush duet “All The Time,” a cut that features a blues-infused bass line and deft jazz flourishes on the piano.